After an impressive teaser trailer, hopefully there's a bigger audience anticipating Warner Bros. animated big screen adventure The LEGO Movie from 21 Jump Street and Cloudy with a Chance of Meatballs directors Phil Lord & Chris Miller. The film will have a presence here at Comic-Con, so we'll be reporting on that panel later in the week. In the meantime, the studio has unveiled their exclusive poster that will be handed out to fans on the convention floor and it's pretty damn slick. 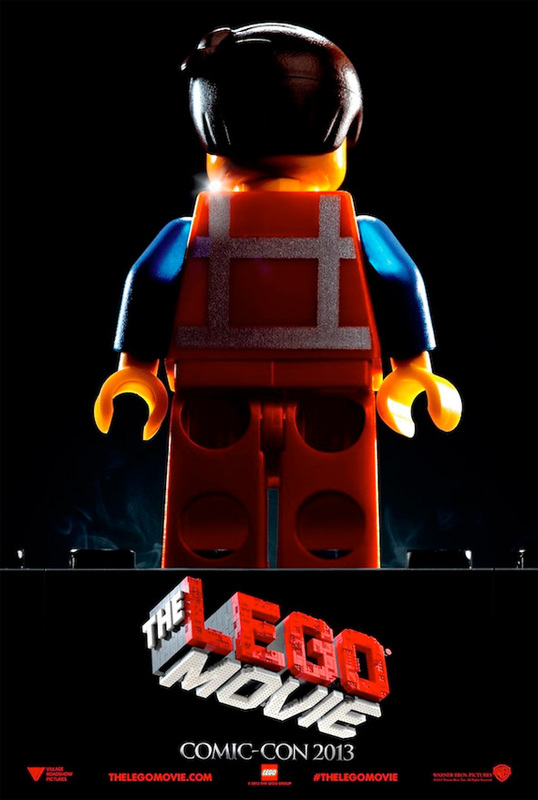 The main character (voiced by Chris Pratt) stands heroically, feet locked in place on the traditional LEGO brick pegs, smoking just a bit. Look! Looks like a top contender for Razzies..